The CVUUS Writers’ Group meets third Monday of the month in the Fenn House chapel. All are welcome! Bring something to read (with a few copies): fiction, nonfiction, poems. Questions? Contact Nancy Wright (nancymeanswright@gmail.com). On Sun. May 20 we explored what it means to be a safe congregation. It is impossible to make a congregation 100% safe; however, there are steps that we can take to make our congregation safer while still creating a supportive space for learning, growth, and challenge as well as actively working for the inclusion and safety of all people. 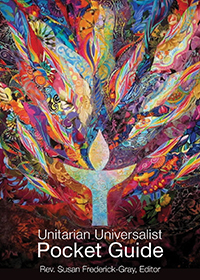 Look at how UUA guides us at https://www.uua.org/safe. It contains resources for us to prevent and address violence, abuse, harassment, inappropriate behavior, and other threats to safety. Sample policies and suggestions there can help us take steps towards creating a safer congregation that lives our faith and values. It can help us with building security and staffing measures. We’ll assist our Safe Congregation Team (Alan Moore, Will Porter, Mike Greenwood, Poppy Rees) in reviewing and updating our Safe Congregation Policy and assessing recent recommendations from Middlebury Police Chief Hanley in a walk-through he conducted.